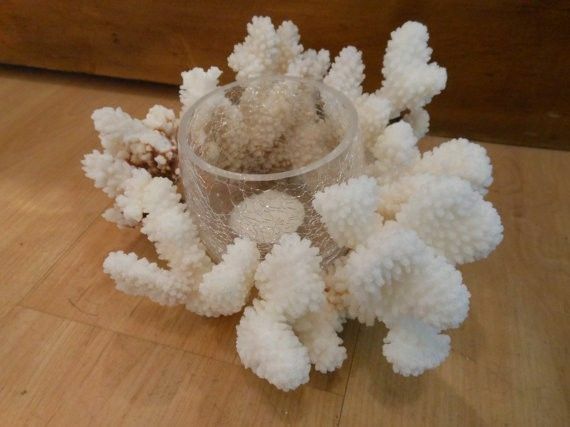 This unique candle holder is a small crackle glass holder with chunks of beautiful brown stem coral surrounding it. The coral gives such a dramatic look! What a wonderful way to bring some of the beach back home. This candle holder can fit a tealight or a small pillar candle. 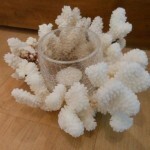 It measures 3 inches tall and about 6 inches wide at its widest point, because all of the coral pieces are different shapes and sizes. It’s Wedding Season and We’re Inspired!